An innovative alternative to our best-selling Americano Thermal Mug. 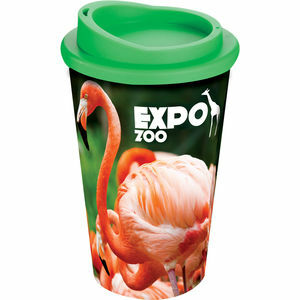 For an amazing impact, the Brite-Americano offers a full colour wrap print to your mug, achieving incredible effects! We've developed our in-mould labelling process to bring you this brilliant print option on our bestselling mug. Complete the look with a screw-fix lid in a choice of twelve colours.